At JD Caterers; Jackson Diner Indian Cuisine, we realize that along with fulfilling your catering needs, you might also need help with organizing your event. Therefore, we are proud to offer you the planning, coordinating, organizing, and executing services for your event via our preferred vendor Karma Events. 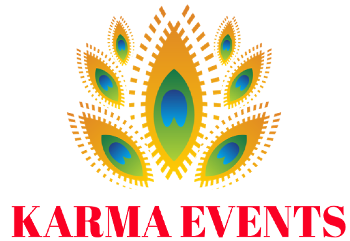 Karma Events: The goal of Karma Events is not only to assist you in creating and executing a successful event, but to deliver one that will leave an Everlasting Impression. At Karma Events, we provide the highest quality of event planning services for Weddings, Baby Showers, Sweet Sixteens, Corporate Events, Non-Profit Organizations Fundraisers, Private events...you name the occasion and we plan it for you! As your event planner, our number one priority is to give you a special, unique event, with a stress-free planning process. We offer full enthusiasm, competitive pricing, and more than 35 years of combined experience in event planning and catering. We look forward to hearing from you and planning your next event.